Developer: Mitsui Chemicals, Inc., Mitsui & Co., Ltd., C-Tech Corporation, Toagosei Co., Ltd., Toshiba Corporation, Toray Industries, Inc., Mitsui Engineering & Shipbuilding Co., Ltd.
Inverters: FUJI ELECTRIC CO., LTD. 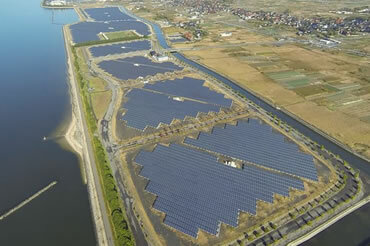 Developer: SB Energy Corp., MITSUI & CO., LTD. Owner: Tahara Solar Co., Ltd. Developer: YORIGAMI MARITIME CONSTRUCTION CO., LTD.
EPC: Kanden Energy Solution Co., Inc.
O&M: Kanden Energy Solution Co., Inc. 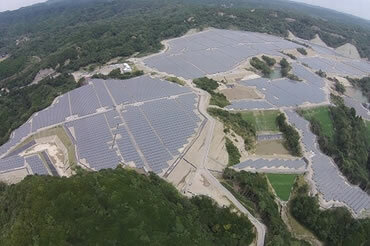 Owner: JGC Mirai Solar Co., Ltd.
EPC: TOKO ELECTRICAL CONSTRUCTION CO., LTD. Owner: Shibaura Group Holdings Co., Ltd., Kyushu Maintenance Co.,Ltd. O&M: Shibaura Group Holdings Co., Ltd., Kyushu Maintenance Co.,Ltd. 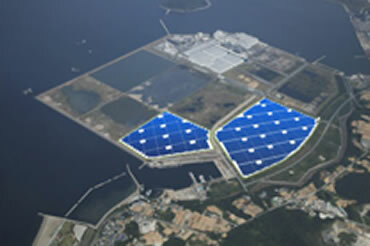 Modules: Suntech Power Holdings Co., Ltd.
O&M: MITSUI KNOWLEDGE INDUSTRY CO., LTD., Mitsui&Co.Facilities Ltd.
EPC: Obayashi Corporation, Kyudenko Corporation, matsushitagumi Inc.
O&M: OCE ASHIKITA MEGA SOLAR K.K. 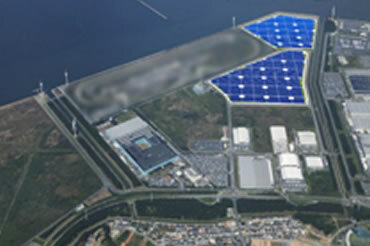 (OCE Ashikita Mega Solar Corporation) (OCE芦北メガソーラー株式会社), Kyudenko Corporation, matsushitagumi Inc. Developer: Ube Industries, Ltd., SHOWA SHELL SEKIYU K. K.
O&M: TOKO ELECTRICAL CONSTRUCTION CO., LTD. Developer: Eneseed Co Ltd(SAIBUGAS Co.,Ltd. ), Asahi Glass Co., Ltd.